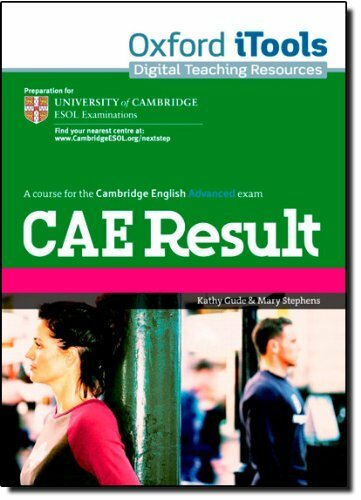 English level: Advanced (C1/CAE) The new exam preparation series for Cambridge ESOL exams which inspires students to better exam results. With its fresh design, high-level support for teachers, and multi-media components, Exams Result is a striking new series with one clear aim: better exam preparation for students and teachers. Key features Vibrant design with high-impact visuals keeps students motivated. Integrated dictionary skills work builds new skills. Workbook Resource Pack MultiROM provides access to two online practice tests at oxfordenglishtesting.com. Teacher's Pack includes Assessment Booklet with DVD and a Using Dictionaries booklet.